Welcome back to a new round of borrowing! We hope you’ve enjoyed the Christmas break as much as we did and are feeling ready for a new year. We’ve no doubt everyone is eager to return to the library and get borrowing! 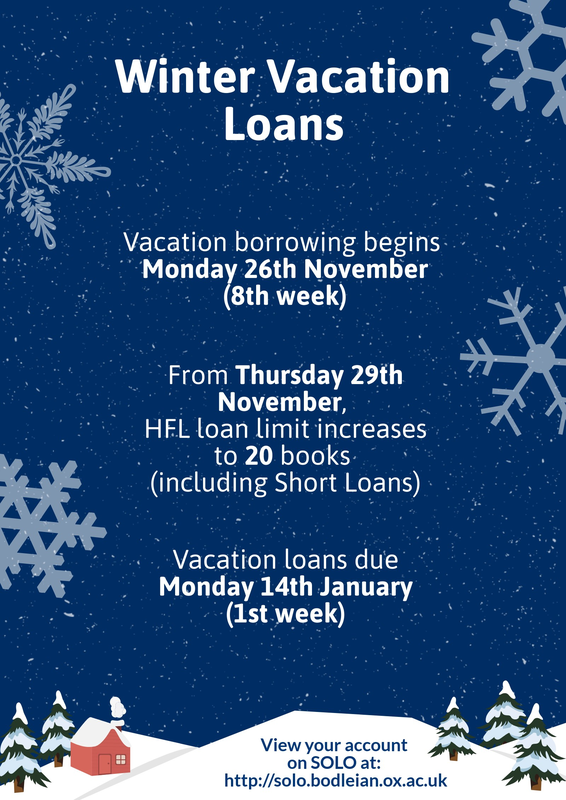 Vacation loans are due back next Monday 16th January so don’t forget to check under the bed for all those extra holiday books you had on loan. We look forward to seeing you all in the library soon. Believe it or not vacation borrowing begins on Monday 30 November! You can borrow up to 15 books from then but from Thursday 3 December the limit goes up to 20. Please pay your fines and remember to return or renew your current (term) loans by Wednesday 2 December. Please remember to return your vac books! This is to remind everyone who had books out over the vacation to return or renew them by Monday 12 October. Thank you! Hope you all enjoy the next academic year! 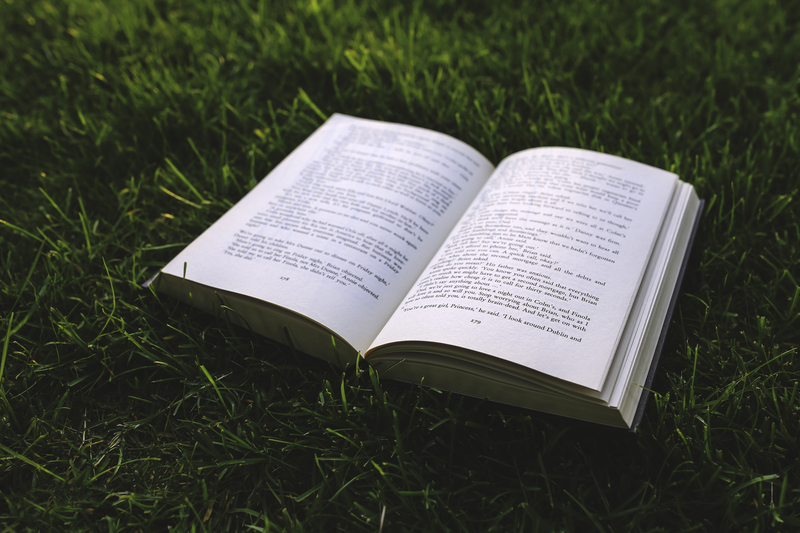 Welcome back all of you who have books out! The term limit has reverted to a maximum of 15 items. If you have more out than that and you want to take out additional items you will need to bring some back. 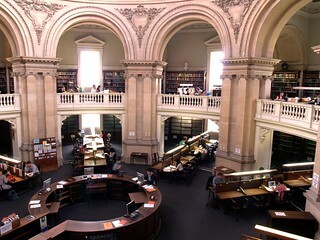 From now on Undergraduates can check out books out for 7 days and Research Graduates 28 days. Current loans are due on Monday 12 October. Please bring them back on time!